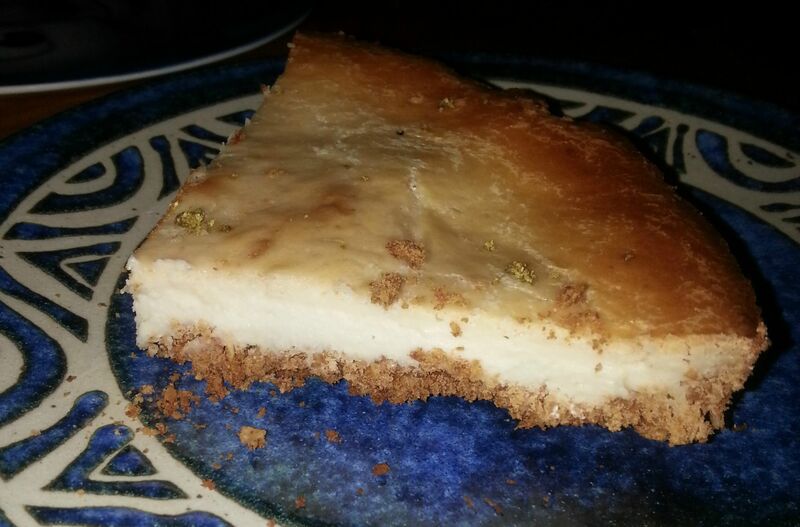 Anyone who reads this blog will know there aren’t many sweet recipes on here. Why? I am simply rubbish at baking. Occasionally I hit a good recipe though and this is one of them. 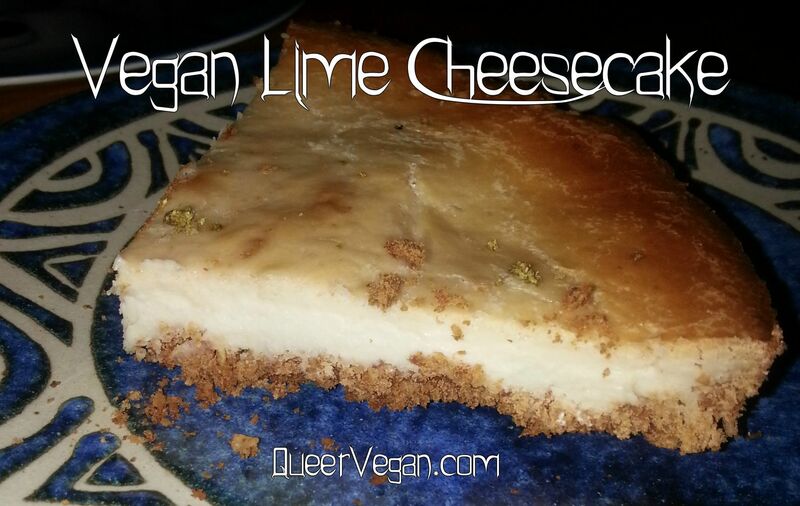 This is my take on a baked lime cheesecake. 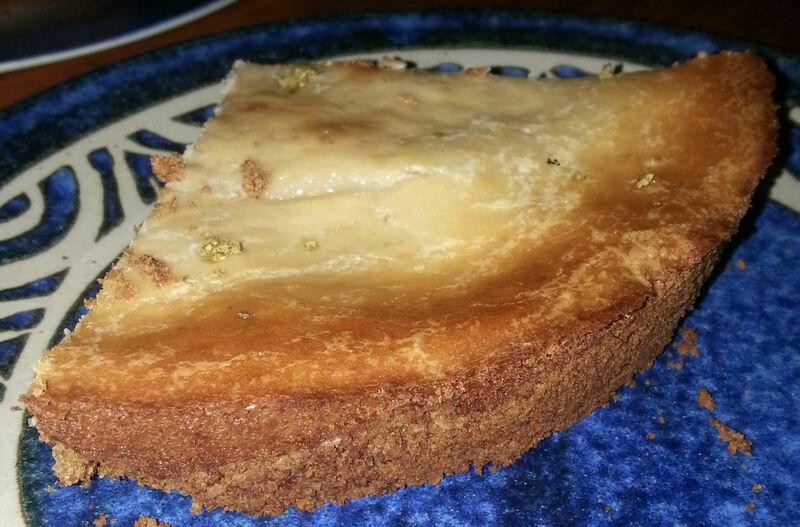 As normal my adventures in baking are never pretty, but this one tastes amazing! The juice and zest of one lime. Half a pack Hob Knob biscuits. Get the oven on to heat up. About 200 degrees should do it. Empty half a pack of hob knobs into a plastic food bag and tie up. Beat with a rolling pin until they form a fine crumb. 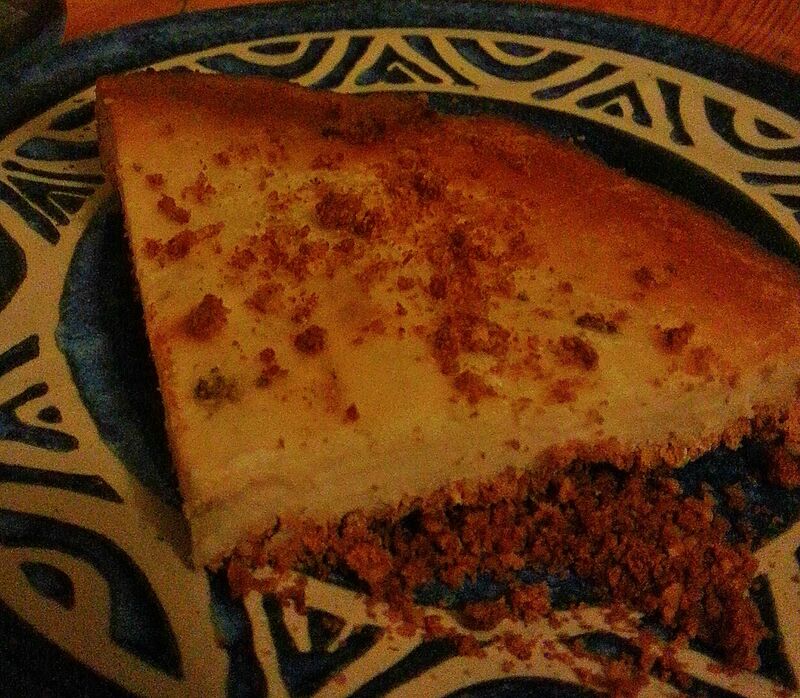 Spread your crumb in the dish you want to bake your cheesecake in. I used a small Victoria sponge tin. Pour the remaining ingredients in your food processor and mix until a sweet paste has formed. Add more sugar and lime to taste. A drop of vanilla essence could also do wonders here. Spread thickly over the biscuit base. Bake for 45 minutes checking regularly to ensure it doesn’t burn. Leave to cool then place in the fridge to set before serving.